This page was last updated September 22, 1998. Please note ONLY those links with an * (asterik) work! 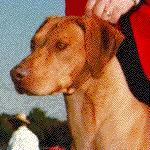 This Pedigree Online Search Tool data has been provided to you by Brenda Bohan Surin of Meandu Ridgebacks who has been painstakingly compiling a Rhodesian Ridgeback Pedigree Database. Her sources include, but are not limited to: the AKC Awards Magazine, OFA Data files and RRCUS Home Page. They currently have 10,292 dogs on file and it is growing! The software has been provided to you by Erik and Phyllis K. Wendelboe of Sunchase who have taken Brenda's data files and written the following software to allow everyone access to the pedigrees. 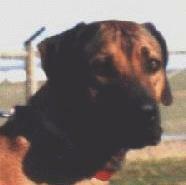 Simply stated, Rhodesian Ridgeback Rescue. They are dedicated to providing easy access to this information. It is their hope that while you are viewing pedigree and dog information, you will remember to occasionally send money to any of the following Rhodesian Ridgeback Rescue Coordinators. If you use this tool, please send money for Rescue and let them know that you have been encouraged by Kushinda Kennels to fork over the cash!